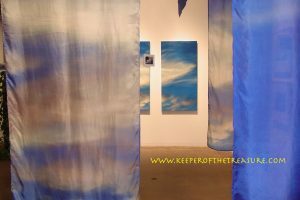 exhibited at Walker Fine Art Gallery in Denver, Colorado. I began to photograph clouds with no landscape. I knew I could not take my camera everywhere, and even when I had it with me, I could not stop everywhere. I know I have missed some very beautiful clouds and light. Once, I was biking in Utah with out a camera, when I saw a cloud morph into a shape of a caterpillar. It is sometimes hard to remember that the experience is more important than capturing it. Griffin received a grant from the Rocky Mountain Women’s Institute, for Inside the Belly of the Whale. 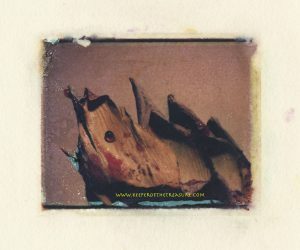 The Denver Art Museum has acquired four of her prints from Inside the Belly of the Whale (The Blue Dream series). The work was displayed for the University of Colorado Health Sciences Center conference on the Quandaries in Health Care: Illness and Culture in the Postmodern Age at the Given Institute in Aspen, Colorado. 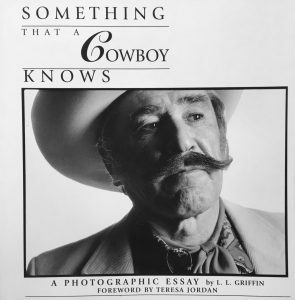 The book Something that a Cowboy Knows was published by Utah State University Press with a forward by Teresa Jordan. The exhibit Something that a Cowboy Knows first appeared at the Arvada Center and the Colorado Historical Society. The exhibition traveled throughout the west and is now part of the permanent collection of the Western FolklifeCenter in Elko, Nevada. exhibited at Berkley Park Gallery – Betty Arca, Denver Colorado. Griffin’s work has appeared in the New York Times, MS Magazine, Woman’s Day, Der Spiegel, Men’s Journal, trade publications, the Denver Business Journal, newspapers, book jackets, CD covers, and Communication Arts Photography Annual. 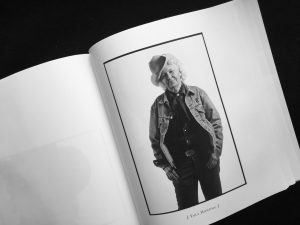 Her photograph assignments are now limited to personal commissions. And God can understand . . .